Well-run restaurants go beyond just creating schedules and take the extra steps to optimize labor, manage compliance and engage with employees. 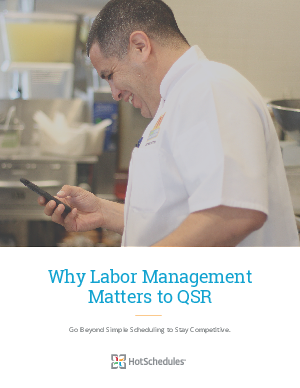 Successful restaurant managers and operators take extra steps to manage labor, including mastering scheduling. In this ebook we will walk you through tried and true best practices so you are better prepared.